The set your goal today cards below are handy if you want to carry your goals with you in your wallet, bag or pocket. You can download the PDF below (8 cards per A4 page). Let's try and attach our daily goals to our longer term goals. You can download a longer term goal card here. The thing I love about daily goals is the idea of finishing the day feeling a sense of achievement and knowing we are one step closer to a big victory. A goal that is measurable motivates us. Let's make sure we can measure our goal. i.e. run 5km. Lose 0.5kg. Write 10 pages. Make 3 people smile. Read 50 pages. If you feel that your goal is more intrinsic and isn't easy to measure it's time to get creative and tie to something that can be measured. Even in the short term making our goals SMART (specific, measurable, attainable, relevant, timed) is significantly more effective than goals that are not SMART. A SMART goal is a powerful and clear-cut determination to take action towards a specific objective. One will leave us feeling dis-empowered, and one empowered. To download my smart goal setting template click here and to read some more about SMART goal setting click here. A PDF copy of the template above can be downloaded here for free. 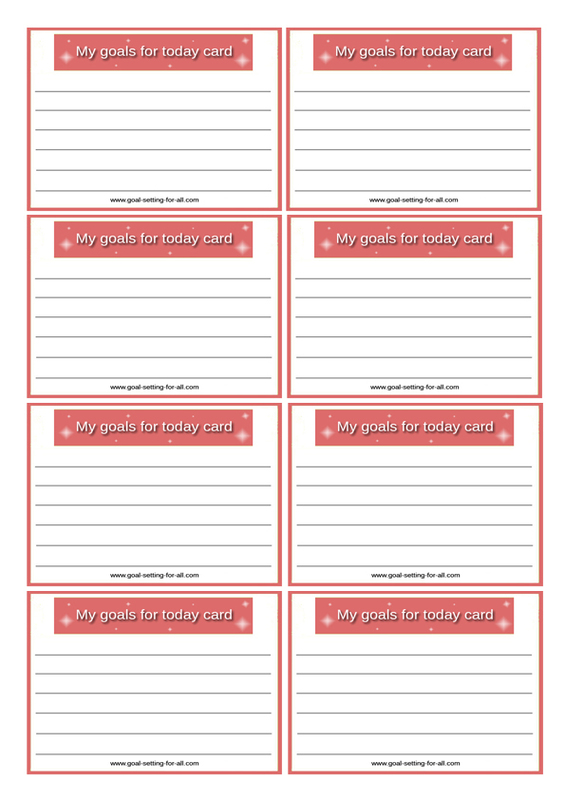 Why not print out a few copies of these daily goal cards, chop them up with some scissors and keep a pile handy somewhere. 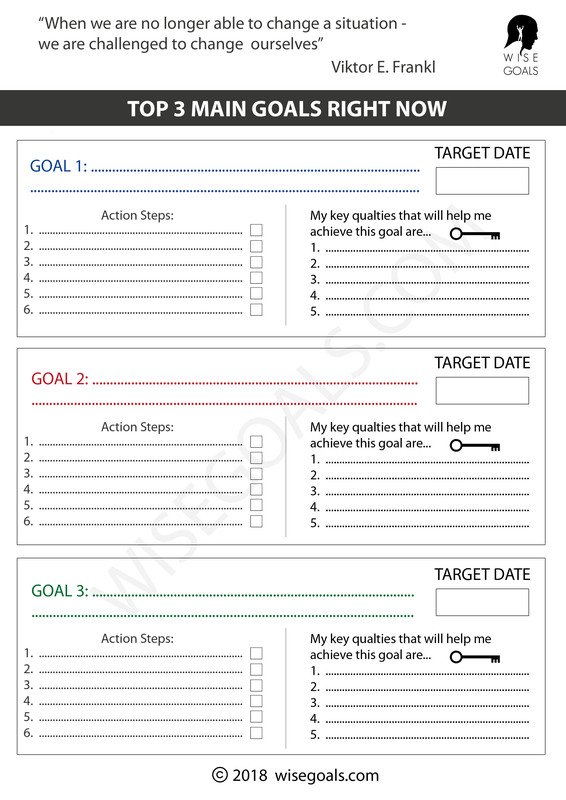 Having these goal cards in your pocket or wallet will help serve to engrave your goals in your mind. Also handing them out to your friends will encourage them to challenge themselves.